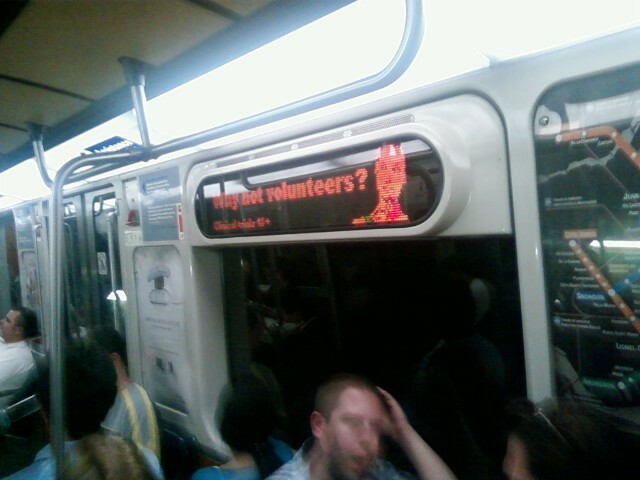 As an MA student in bioethics, I am very interested in the advertisements on the Métro for participation in phase I drug studies. And that’s not just because they were very tempting back when I had no job and no prospects at the end of the school year in April. It would run in English first, then in French, and in the version that they were running a few months ago, there was no translation problem. Next Next post: Which is worse?